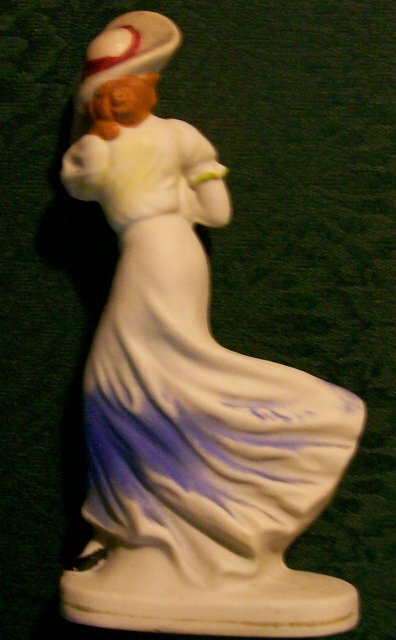 Hand painted bisque windswept lady figurine, made in Japan, circa 1930's-40's. Stands 6.75"h. Blurred red mark on bottom. No chips or cracks, but has some factory flaws, such as the separation of the unglazed clay when fired. Please email for further photos if needed. Sold as is. Inglenook Antiques...Established 1989. 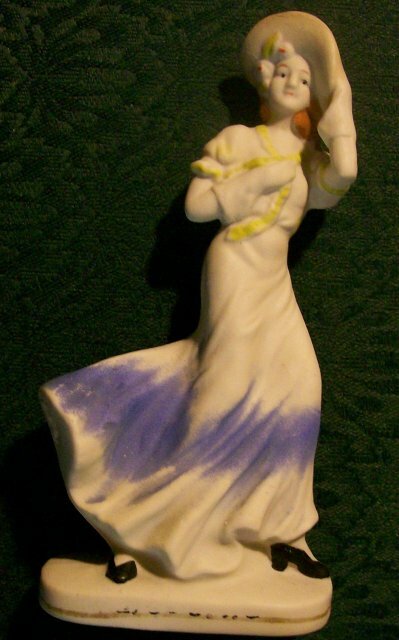 Items Similar To "Bisque Ceramic Windswept Lady Figurine Japan 1930s-40s 6.75"H Blu..."